King Carl Gustaf and Queen Silvia of Sweden, Crown Princess Victoria and Prince Daniel of Sweden, Prince Carl Philip of Sweden, Princess Madeleine of Sweden and her husband Christopher O'Neill, Princess Christina and Tord Magnusson, Crown Prince Alexander and Crown Princess Katherine, Princess Margareta and Prince Radu of Romania, Countess Marianne Bernadotte, Princess Hisako of Takamado attended a concert held by Swedish Royal Opera on the occassion of 70th birthday of King Gustaf at Stockholm Nordic Museum. 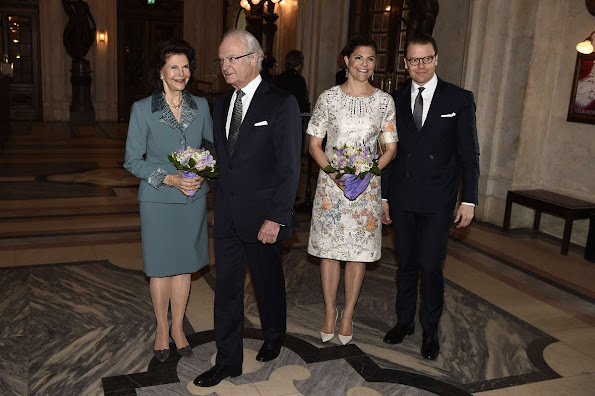 King Carl Gustaf and Queen Silvia, Crown Princess Victoria and Prince Daniel of Sweden attend the Royal Artistic Academies for King Carl Gustaf's 70th birthday on April 29, 2016 in Stockholm, Sweden. 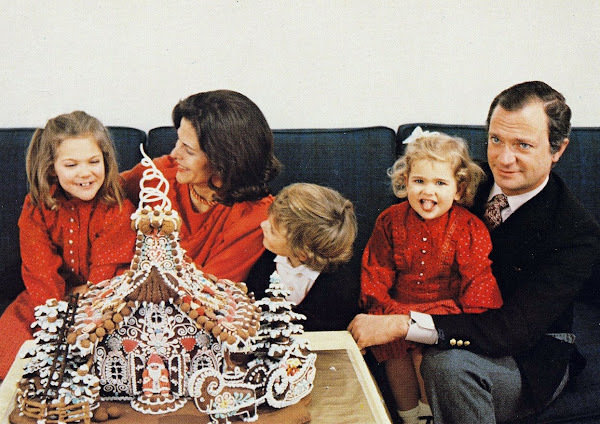 Today, it's Infanta Sofia of Spain's birthday . She is turning nine years old. 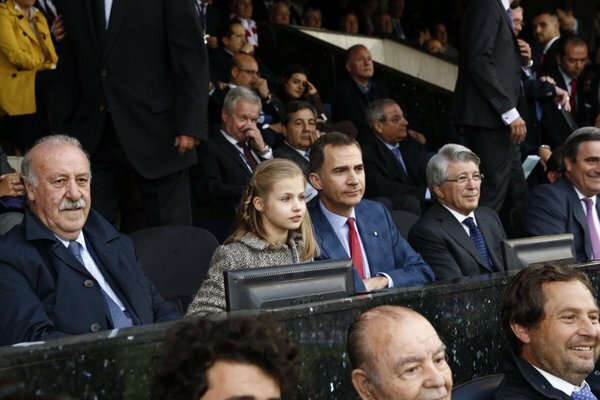 Infanta Sofía of Spain, (born April 29, 2007 in Madrid) is the second child of King Felipe and Queen Letizia. 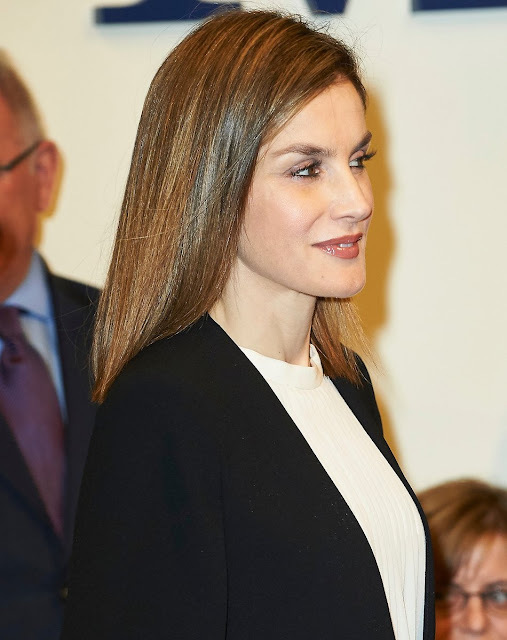 She has an older sister Leonor, whom she follows in the line of succession to the Spanish throne. Feliz cumpleaños Sofia! 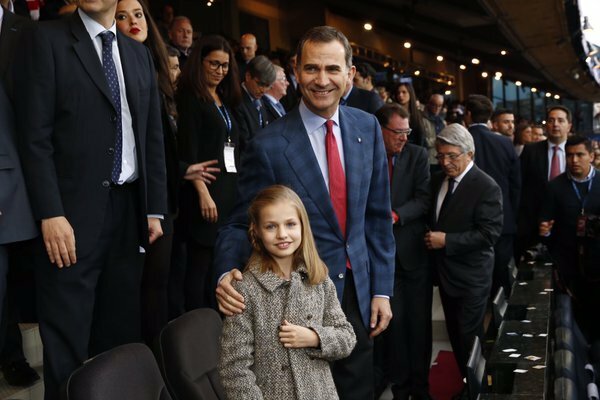 Happy 9th birthday Infanta Sofia! 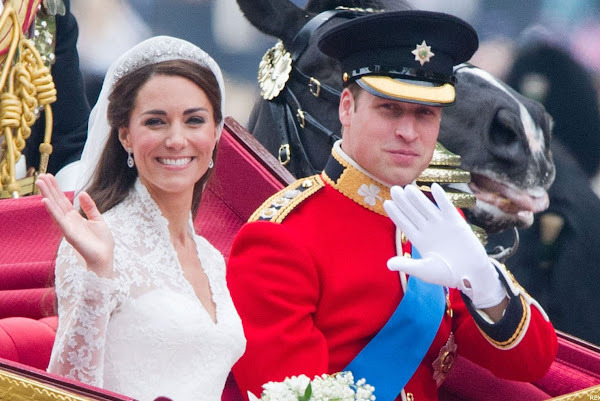 Prince William, the king of the future and heir to the throne after his father Prince Charles got married with Kate Middleton on April 29, 2011. The wedding took place at Westminster Abbey. Kate Middleton preferred a wedding gown designed by Sarah Burton from Alexander McQueen. The first child of the couple, Prince George was born on July 22, 2013 and their second child, Princess Charlotte was born on May 2, 2015. 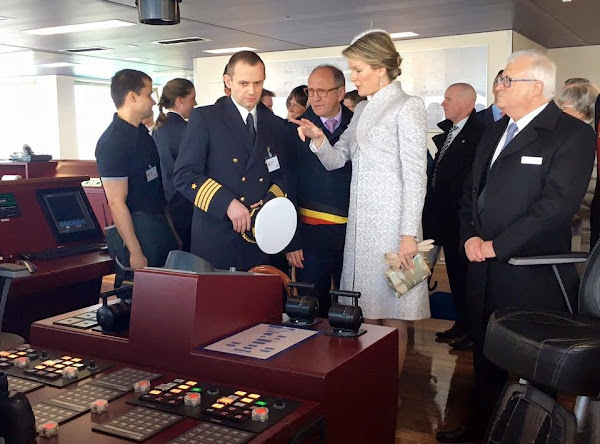 On Thursday 28 April 2016, Queen Mathilde of Belgium christened the new installation vessel of the Jan De Nul Group in Oostende. The ship was built for installing offshore wind farms in the North Sea. 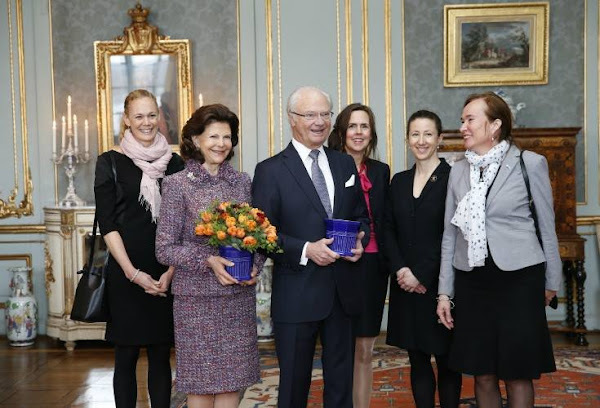 On April 28, 2016, King Carl Gustaf and Queen Silvia of Sweden received guests and gifts at a reception for the King’s 70th birthday celebrations. 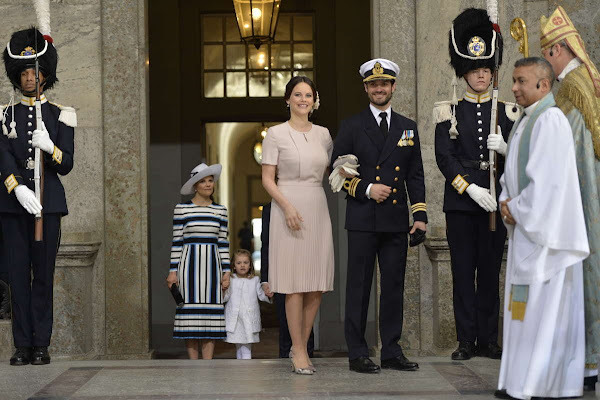 The attendees were received in Princess Sibylla's Apartments. Hereditary Grand Duke Guillaume and Hereditary Grand Duchess Stephanie of Luxembourg visited the headquarters of Ampacet located in Dudelange, Luxembourg. 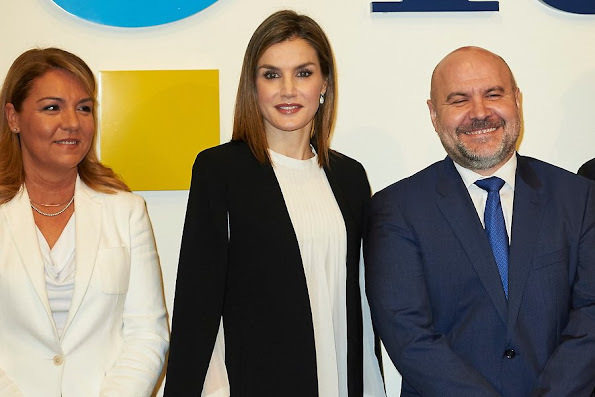 Since opening a facility in Luxembourg over 20 years ago Ampacet has contributed much to the local economy and continues to invest in their Luxembourg operations. 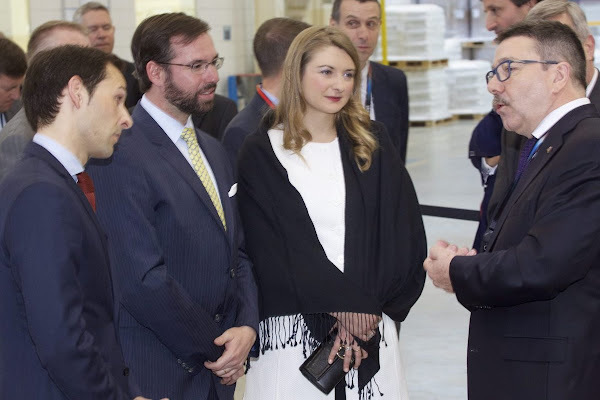 Hereditary Grand Duke Guillaume and his wife Stephanie toured their production facilities and met with staff members. On the second day of visit of the Burkina Faso, Crown Princess Mary of Denmark visited the various charitable projects. The visit focuses on women's and girls' sexual and reproductive health and rights. 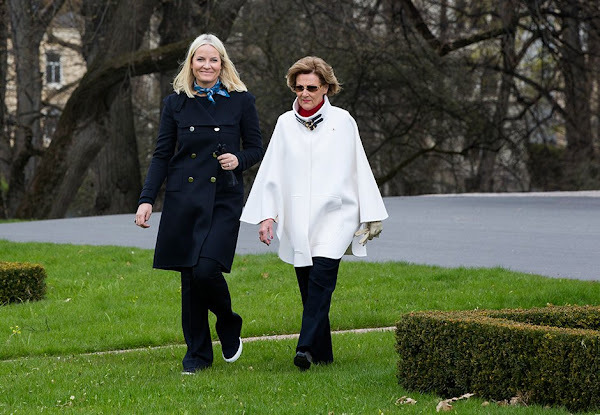 Queen Mathilde of Belgium attend a meeting during a visit to project 'Une etoile, un Destin' in attendance of the Queen, on Wednesday 27 April 2016, in Brussels. 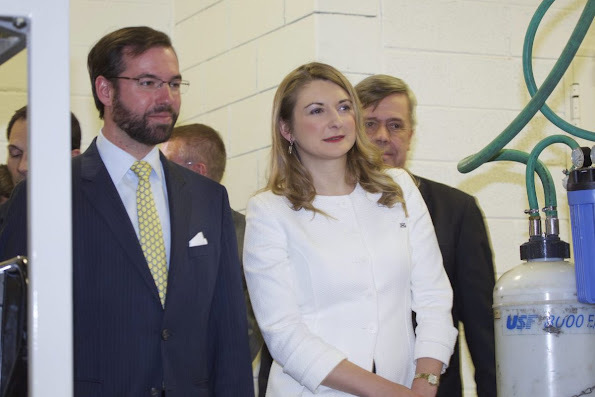 The initiative is a response to a call for project by the Queen Mathilde Fund. Queen Letizia of Spain attends a meeting with the Spanish Committee of Representatives of People with Disabilities-CERMI (Centre Européen de Recherche en Microfinance / Centre for European Research in Microfinance) at the CERMI Headquarters on April 28, 2016 in Madrid, Spain. 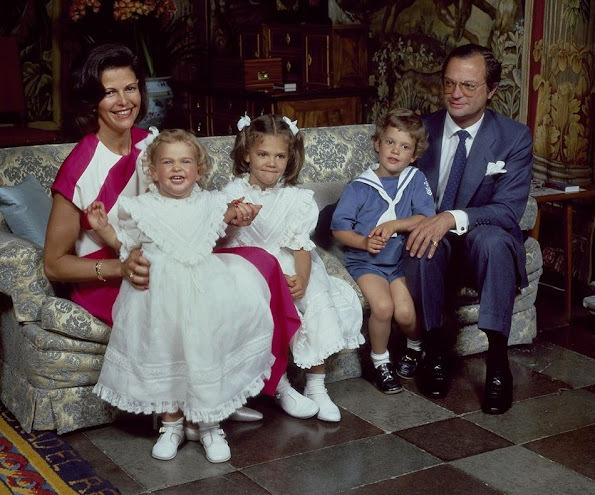 A look at the past: Swedish Royal Family at 1980s. Swedish Royal Family at 1980s:King Carl XVI Gustaf, Queen Silvia, Crown Princess Victoria, Princess Madeleine and Prince Carl Philip of Sweden. 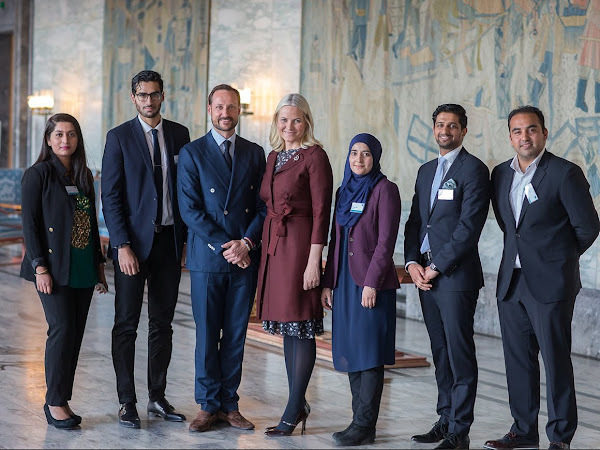 Crown Prince Haakon and Crown Princess Mette Marit of Norway attended a conference at Oslo Municipality which is held under the topic of "New Generation" and which addresses cross-cultural background and executive abilities. At the conference, internationalization, digitalization and diversity were emphasized. MAK is an organization that works to strengthen the competitiveness of Norway and Norwegian sectors by diversity and cross-cultural sufficiency. King Felipe of Spain and his elder daughter Princess Leonor de Bourbon watched Champions League semi final match at Vicente Calderon Stadium in Madrid. Champions League semi final match was played by Atletico Madrid and Bayern Munchen and Atletico Madrid won the match by 1-0. 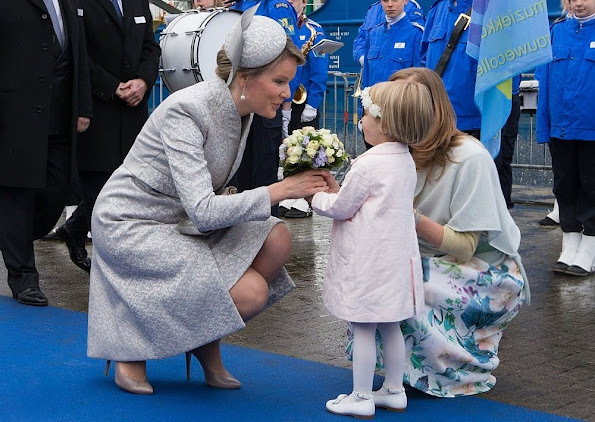 Princess Laurentien of the Netherlands attends celebrations marking the 49th birthday of King Willem-Alexander on King's Day (Koningsdag) on April 27, 2016 in Zwolle, Netherlands. 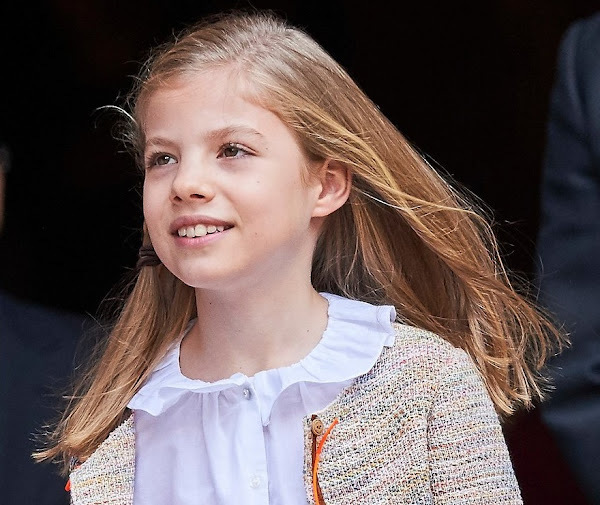 (More photos related to the King's Day is Here). Princess Laurentien wore Missoni Multicolor Belted Coat. On April 13, 2016, Crown Princess Mary of Denmark was at Copenhagen Airport in order to welcome Mexican President Enrique Pena Nieto and his wife Angelica Rivera. (More photos is Here). Princess Mary wore same Missoni Multicolor Belted Coat. 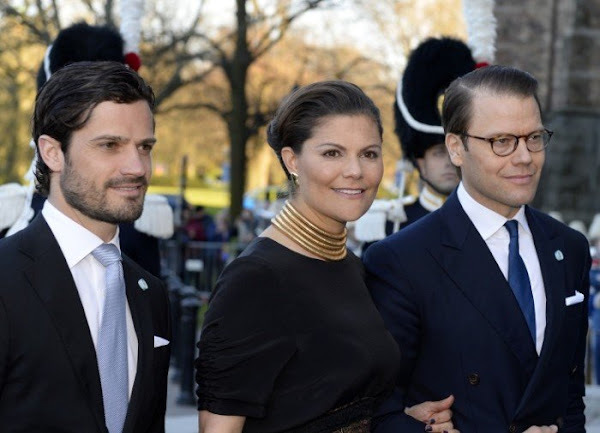 Crown Princess Mary of Denmark and foreign affairs minister Kristian Jensen started a 2 day visit to Burkina Faso. The Crown Princess and the foreign minister visited a Danish-supported health clinic and met with people of a Burkinabe village. 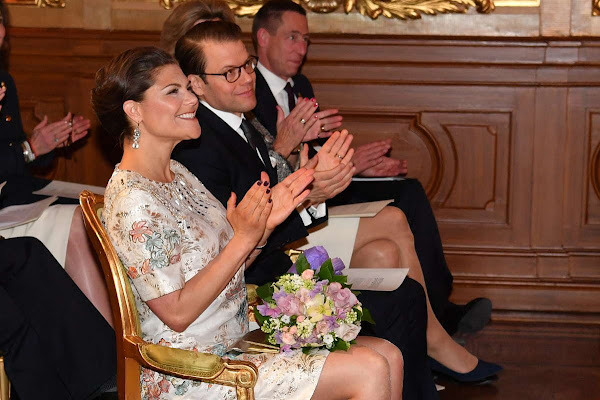 During his visit, the Crown Princess and the Foreign Minister also met with Burkina Faso's President and members of the government. The visit focuses on women's and girls' sexual and reproductive health and rights. King Willem-Alexander, his wife Queen Maxima and their daughters Crown Princess Catharina-Amalia, Princess Alexia and Princess Ariane, Princess Laurentien, Pieter van Vollenhoven, Prince Maurits and Prince Constantijn of The Netherlands attend the Kings Day celebration in Zwolle, The Netherlands, 27 April 2016. 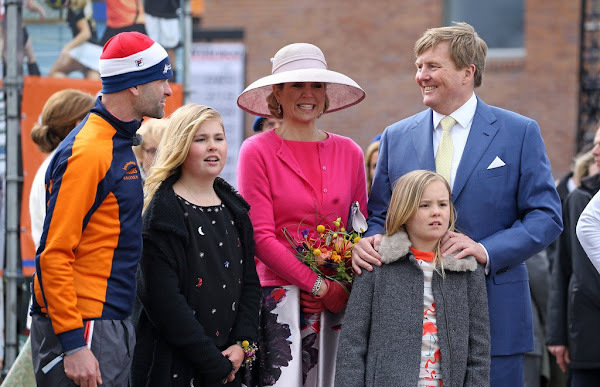 Kingsday is the official celebration of the birthday of King Willem-Alexander. 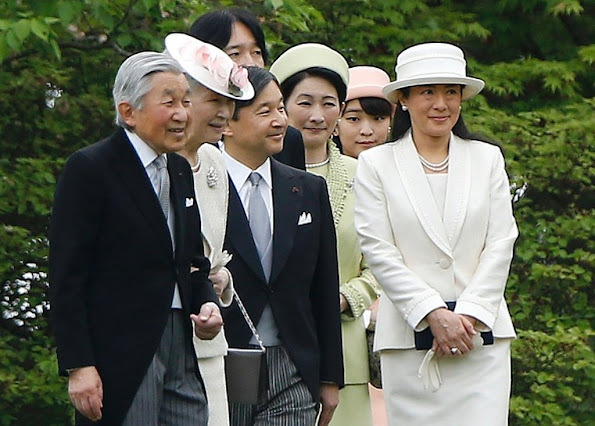 On April 27, 2016, Japan's Emperor Akihito, Empress Michiko, Crown Prince Naruhito and his wife Crown Princess Masako, Prince Akishino and his wife Princess Kiko and Princess Mako attended the 2016 Spring Garden Party at the Akasaka Palace imperial garden in Tokyo. 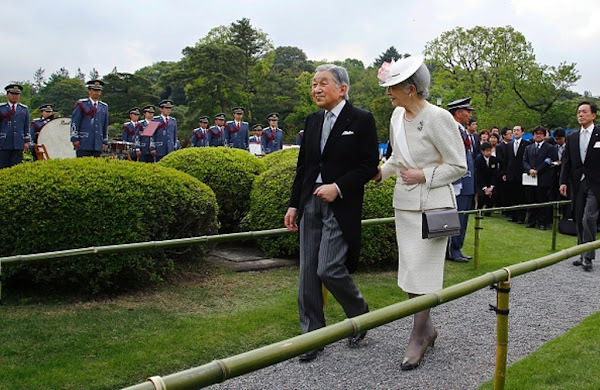 The Japanese royal family host garden parties annually, once in the spring and another in the autumn. 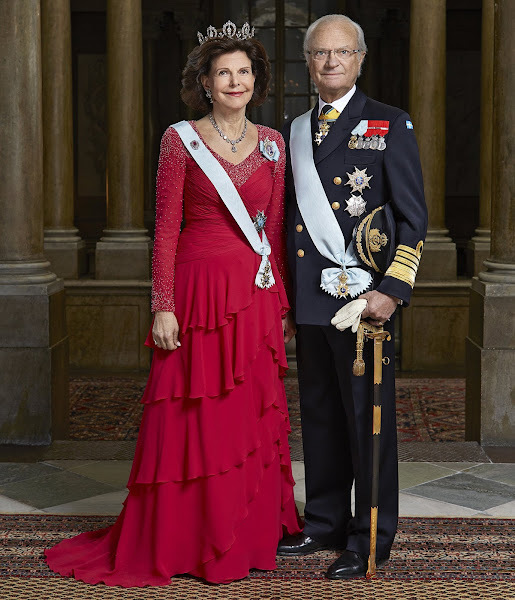 Swedish Royal Court published new official photos of King Carl XVI Gustaf of Sweden and Queen Silvia of Sweden. 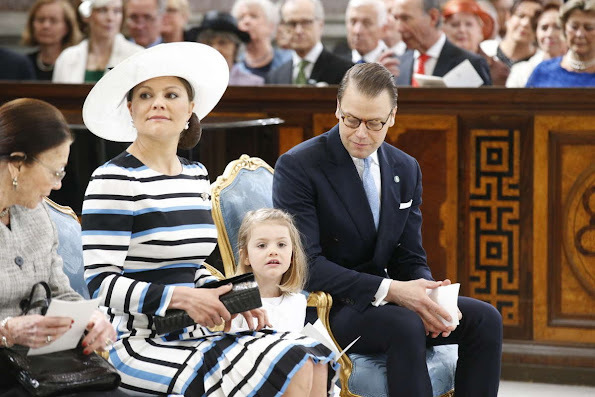 These photos were taken and published by photographer Peter Knutson on the occasion of 70th birthday of King Gustaf of Sweden. King Willem-Alexander of Netherlands and Queen Maxima of Netherlands made a special visit to the capital city of Italy, Rome. 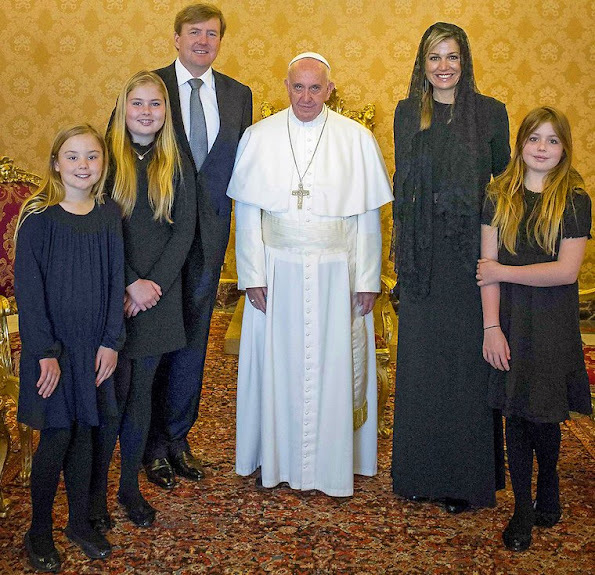 King Willem-Alexander and Queen Maxima, their daughter Princess Catharina-Amalia of Orange, Princess Alexia and Princess Ariane met with Pope Francis in Vatican. 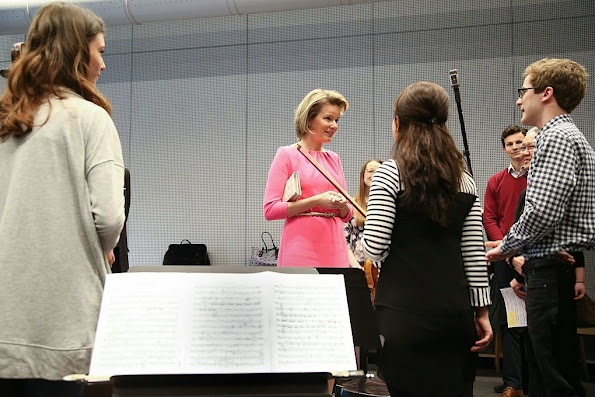 On April 26, 2016, Queen Mathilde of Belgium meets with students during a visit to the Higher Institute of Music and Pedagogy (IMEP, Institut Superieur de Musique et de Pedagogie) in Namur, Belgium. 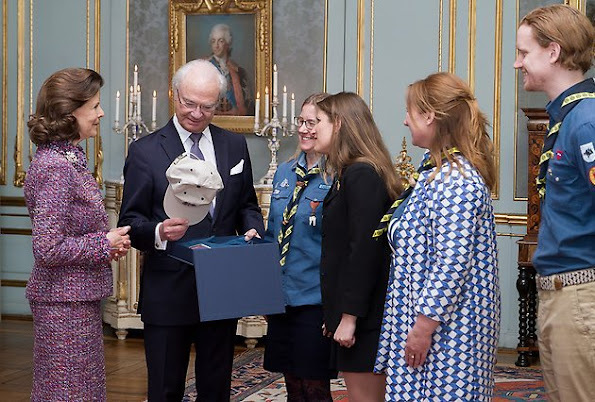 Queen Sonja and Crown Princess Mette-Marit will be patrons of this year’s telethon, for the Norwegian Red Cross and their efforts to help victims of war and and other conflicts. 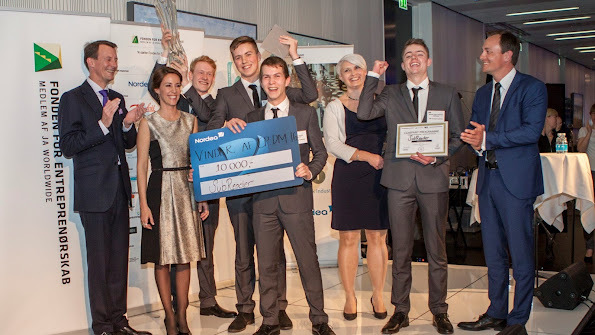 TV-aksjonen is an annual national Norwegian fund raising event for various charity purposes which has been arranged since 1974. The money from the Telethon will go to Red Cross work in nine countries: Syria, Lebanon, Sudan, Afghanistan, Somalia, Myanmar, El Salvador, Guatemala and Honduras. 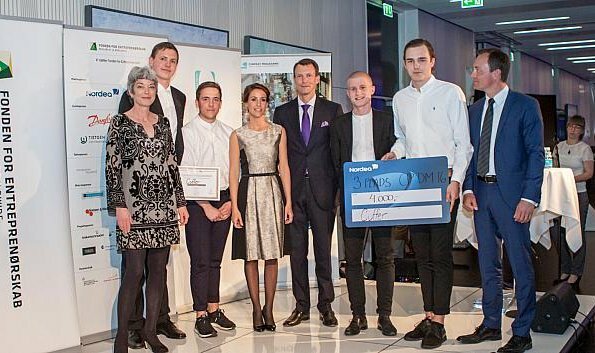 The money also will be used in helping refugees who have come to Norway. 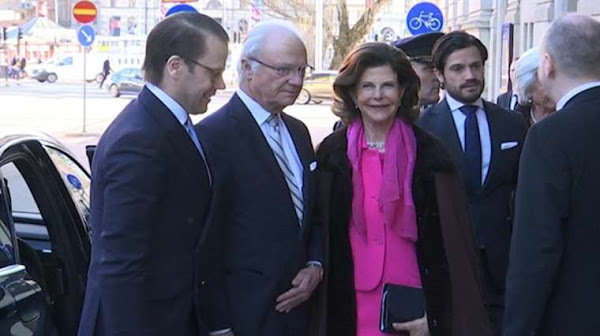 On April 25, 2016, King Carl XVI Gustaf, Queen Silvia, Prince Daniel and Prince Carl Philip of Sweden attended the Baltic Sea Seminar held on the occasion of King Carl Gustaf's 70th birthday celebrations at the Royal Theatre (Dramaten) in Stockholm. 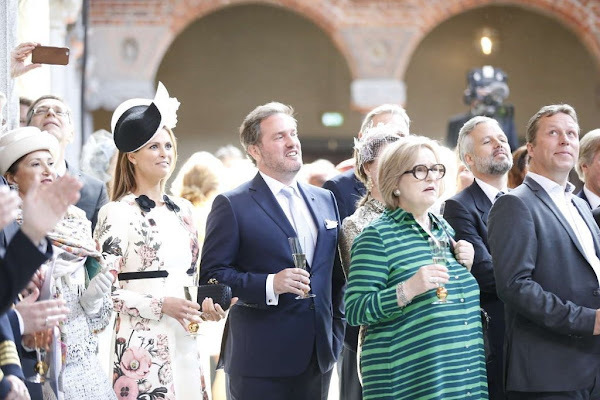 Queen Margrethe II celebrates the 76th birthday!